Shooting for the movie "Extremely Loud and Incredibly Close" took over Barney Greengrass on Wednesday. UPPER WEST SIDE — Sturgeon fans were out of luck, but film buffs were happy: the legendary Barney Greengrass on Amsterdam Avenue and West 86th Street was closed Wednesday so the bagels and smoked fish store could be used as a film set. "Extremely Loud and Incredibly Close" was shooting inside Barney Greengrass, which has been featured in several movies including the 1998 romantic comedy "You've Got Mail," starring Tom Hanks and Meg Ryan. 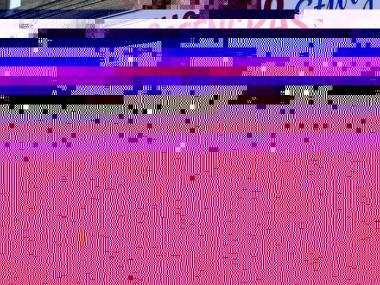 Hanks also stars in "Extremely Loud and Incredibly Close," along with Sandra Bullock and John Goodman. The movie is based on Jonathan Safran Foer's novel about a boy whose father died on September 11th. "Extremely Loud and Incredibly Close" will also be shooting at West 98th Street between Broadway and Amsterdam Avenue, according to neighborhood blog My Upper West, and at West 86th Street and West End Avenue, according to On Location Vacations. 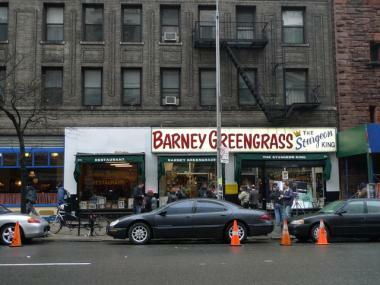 Scenes for "Extremely Loud and Incredibly Close" were filmed at Barney Greengrass on Wednesday. Upper West Siders earned a reputation as film set grumps last summer when a local man head-butted a production assistant on the set of "Premium Rush," but on-lookers outside Barney Greengrass were cheery on Wednesday. "Pretty neat, huh?" said a man who stopped to snap a quick picture of the lights, cameras and walkie-talkie-wielding crew members. "I don't even know what movie it is. But I'm a tourist, so all this stuff is neat to me." Barney Greengrass was closed all day Wednesday, but will re-open Thursday, an employee said.